Enzo knows he is different from other dogs: a philosopher with a nearly human soul (and an obsession with opposable thumbs), he has educated himself by watching television extensively, and by listening very closely to the words of his master, Denny Swift, an up-and-coming race car driver. Through Denny, Enzo has gained tremendous insight into the human condition, and he sees that life, like racing, isn't simply about going fast. Using the techniques needed on the race track, one can successfully navigate all of life's ordeals. On the eve of his death, Enzo takes stock of his life, recalling all that he and his family have been through. In the end, despite what he sees as his own limitations, Enzo comes through heroically to preserve the Swift family, holding in his heart the dream that Denny will become a racing champion with Zoë at his side. Where do I ever start with a novel like this? Let me start with sharing some things that I initially thought. I am a dog owner. I have had dogs all my life. I have three dogs of my own now and love them fiercely. When I came upon The Art of Racing in The Rain I knew it was going strike some emotions out of me and maybe even be a little personal. Maybe I'd even cry. I thought the idea for the story was so clever that I just couldn't pass it up. Well The Art of Racing in the Rain definitely rattled some emotions out of me, and I DID cry. But the book ended up being so much more than a heart-felt read. I had bonded with a fictional dog, and fictional characters. I loved Enzo and the entire Swift Family. I cried when they cried and I laughed when they laughed. The connection that I felt with these characters are indescribable. The book being in Enzo's perspective is only a fraction of the books unique greatness. What I loved most about The Art of Racing in the Rain was that it was REAL. 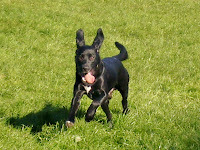 There wasn't any super dog moments, it wasn't always lollipops and rainbows. The Swift Family was a REAL family. They struggled, they suffered and they were beat down. But the strength that these characters had, radiated off the pages. It was a contagious feeling. It made me think more than once, that while I may be dealing with something , there will always be someone else dealing with something just as bad or greater than my situation. 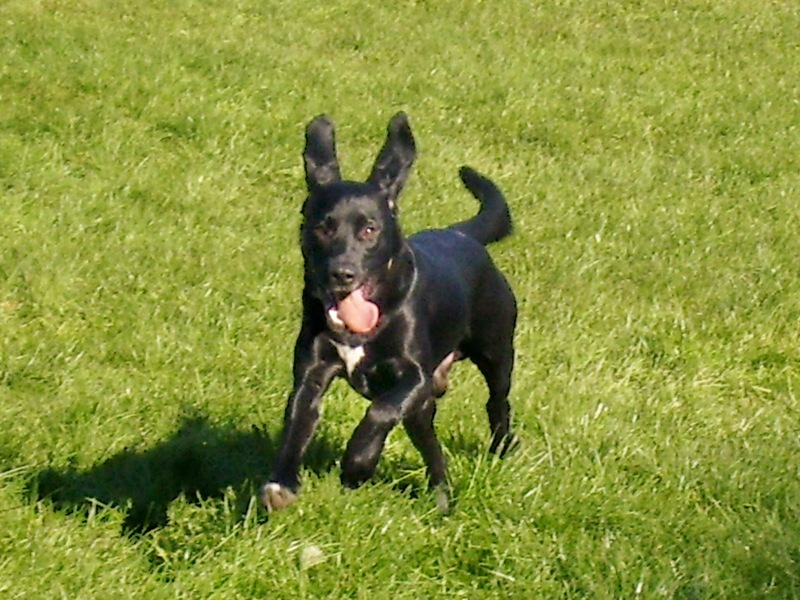 The Art of Racing in the Rain made me look at my dogs(more than once) at lot differently. Yes, I understand that the book was written by a man, but that doesn't mean that it didn't make me see a little human glint behind their eyes. I can see a little bit of Enzo in each of my dogs. The Art of Racing in the Rain is one those books that go way beyond words printed on a page. The book reaches an indescribable level. At heart-warming story about a man, his family and his dog. Aw, your dogs are so cute! I have a Dachshund.. She thinks she's queen of the castle :). Great review. This book has been on my TBR list for a while now...your review only confirms my desire to read it! And your pups are so cute!! 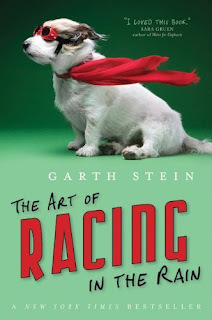 I hesitated to read this book at first because I am not a racing fan at all, but I am a dog lover so I decided to give it a shot. Let me just say - this is not a book about dogs, nor is it a book about racing. What it really is, is a book about life. It's about love, family, pursuing your dreams no matter how far away they may seem and persevering against impossible odds. This is one of the best and most inspirational books I have ever read.